‘Teachers are more valuable than doctors’, ‘a male child is better than a female child’…… ‘’I hope with these few points of mine, I have been able to convince you and not to confuse you that Private secondary schools are better than public schools’’? Remember secondary school? Remember the fierce debates between rival schools? Remember the enlightenment, fun and ecstasy that come with these debates? Reminiscent of this was what we had on Wednesday, 26th March, 2014 at the Federal University of Agriculture, Abeokuta. It was a battle of supremacy as all the colleges on campus competed in the Inter-collegiate debate competition organised by the National Association of Microbiology Students (NAMS) at the Oba Oyebade Lipede Multipurpose Building (MP01). It was not only enlightening and informative but also entertaining as colleges took on one another in doing justice to the debate topic. 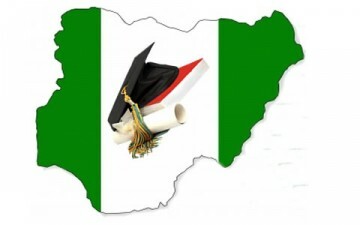 NIGERIA’S EDUCATIONAL SYSTEM AND ITS UNEMPLOYABLE GRADUATES: WHO IS TO BE BLAMED? CURRICULUM CHALLENGE OR THE STUDENTS? In July, 2012, a statement was credited to the Finance Minister, Dr Ngozi-Okonjo-Iweala at the Biannual Prof Barth Nnagi Lecture in the University of Nigeria, Nsukka, in which she said that ‘Nigerian youths are unemployable’. After making this statement, backlashes followed with many Nigerians scolding her for the statement. But then, let’s ask ourselves, how true is this statement? According to the National Bureau of statistics (NBS), the unemployment rate in 2010 was 21.1%, it increased to 23.9% in 2011 and sky-rocketed to an alarming 54% in 2012. The disturbing rate of Youth un-employment was evident in the recent ill-fated recruitment exercise by the Nigerian Immigration Service (NIS) where no fewer than 500,000 youths turned up for a recruitment exercise to fill less than 5,000 vacancies in the service! The numbers of unemployed graduates in the labour market is alarming but more alarming and disturbing is the quality of these graduates. Recently an employer of labour was lamenting about the quality of graduates who apply for jobs in his company. He lamented that he had encountered several graduates who could not compose simple correct sentences and wondered who will be interested in employing such graduates. According to the seventh edition of the Oxford Advanced Learners dictionary, an unemployed graduate refers to someone that lacks the skills and qualities needed to get a job upon having a University degree or upon completion of Tertiary education. Curriculum is defined as the total learning experience provided by a school. It includes the content of courses (The syllabus), the methods employed (strategies) and other aspects like norms which relate to the way the school is organized. The curriculum is thus a combination of three components; the syllabus, the teachers and the learning environment. A quick and random check revealed that most curricula used in the University system today are out-dated and no longer in tune with current realities. A debater gave an instance where his lecturer informed the class that he was teaching them with his undergraduate notes, wondering how such a note could train an undergraduate of today. It is no gain-saying that most of the teachers in our Ivory towers are not well remunerated and encouraged. It also suffices to state that most of them do not have facilities to work with in the discharge of their duties and this affects their morale and efficiency thus having an effect on the graduate they produce. Concerning the condition of learning, lack of constant electricity, dilapidated lecture theatres, lack of functional laboratories and enough practical experience has its own effects on graduates produced and ultimately their ability to meet the demands of employers. Truly, the curriculum is the ‘foundation’ of learning and as such for things to be well positioned, the curriculum comprising the syllabus, the teachers and the learning environment has to be reviewed. As some debaters strongly argued that the curriculum is to blame for the un-employability of Nigerian graduates, others disagreed saying ‘’we have ourselves to blame’’. According to these set of debaters, the un-employability of Nigerian graduates is due to lack of interest in courses of study by undergraduates, the ‘get-rich syndrome’, distractions caused by Communication technology, lack of professional certifications and vocational skills by undergraduates, laziness, lack of involvement in extra-curricular activities (which equips undergraduates with skills needed to survive in the labour market) among others. The get-rich syndrome has eaten deep into the University system such that we now have graduates who want to make the dollars at all cost. They are not interested in paying the price to acquire riches. Distractions by communications Technology is another factor. A lot of our undergraduates are now engrossed with Tablets, I-pads, PC’s, Blackberries and smartphones. This has made concentration on their chosen disciplines a difficult task. Who carries the blame for the un-employability of our graduates? The Government, the University system, the Nation, the students or even the curriculum? The burden of blame for the un-employability of most Nigerian graduates is not only on the curriculum or Government policies but also the students. Nigerian Undergraduates and graduates should not keep lamenting over Government’s lackadaisical attitude towards Education. We are the ones who bear the brunt and not the Government officials. Truth is most of these Government officials who do not take our Education seriously have most of their wards in Foreign Universities and as such are not bothered if the system collapses. They are more interested in how much they can loot and milk from the system. It is of no use crying over spilt milk and so it behooves on us to ensure that we are trained and retrained. We should ensure that we get the best from whatsoever learning condition is available while hoping and praying that things will get better one day. Acquiring certifications and vocational skills is another escape route out of un-employability. Our institutions should incorporate at least one Vocational skill into the training of each undergraduate irrespective of the student’s discipline. This will open up more chances of employment or self- employment for such a fellow after-all, not all graduates will end up practicing the courses they read in the University. Our undergraduates must also wake up to the reality that things have changed from what it used to be in the past. The labour market is highly competitive and it takes those who are trained and retrained to cut the needed edge. Nigeria’s educational system is in a state of coma. From the Primary schools to the Universities, things are not fairing better. We have only been patching things up for a long time and the time is fast approaching when we wont be able to patch things up again. A time will come when ‘the cloth will not be able to cover Omoye again and she will walk into the market square naked’. For our Universities to meet up with modern day challenge, then a comprehensive Overall is expedient. We need to review things and see our short-falls. We cannot continue to churn out graduates every now and then with no place for them to fit into in the society. Government must be forced to give our Educational system the priority it demands after-all, No country can develop beyond the quality of its graduates. Unemployment is indeed a tickling time bomb which if not defused on time can cause havoc in the nearest future. All hands must be on deck to rescue our falling Ivory towers. While waiting for the ‘Moses’ that will take our Educational system out of ‘Egypt’ to the ‘promised land’, our Undergraduates must also wake up to the grim reality on hand and take their destinies into their hands. Abiola Solanke wrote in from Abeokuta, Ogun state.